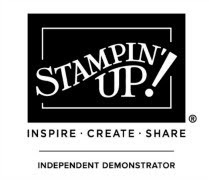 Hello & welcome stamping friends. Tonight the Art with Heart team are sharing creative projects featuring products from the 2018 Holiday Catalogue. We hope our blog hop tonight, inspires you to get creative, and make some fabulous Christmas creations too! If you would like a copy of the Holiday Catalogue, just ask any of us girls on the blog hop and we will get in touch with you. 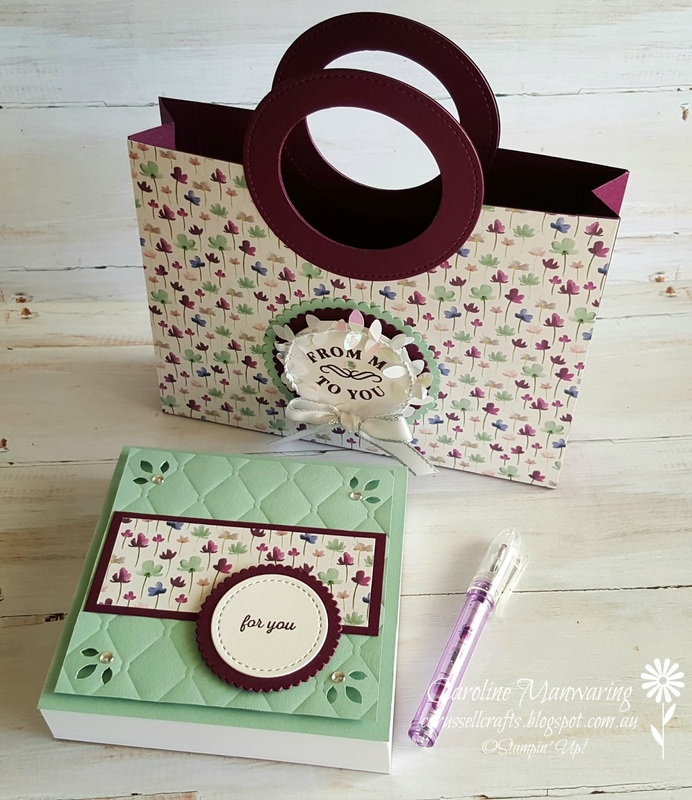 For my project, I decided to make a gift bag with a matching mini jotter pad and pen set. Until my order arrives later this week I'm working with minimal supplies, so there's a mix of products from both the Holiday and Annual Catalogues. One of the things I really enjoy about the Holiday Catalogue is that it's not all about Christmas. There are some gorgeous "non Christmassy" products in it as well that can be used for birthday's and other occasions. So I decided to use the beautiful Frosted Floral Specialty DSP and one of the Boxwood Wreaths Embellishments. These products are part of the Frosted Floral Suite on pages 36-37 in the catalogue. 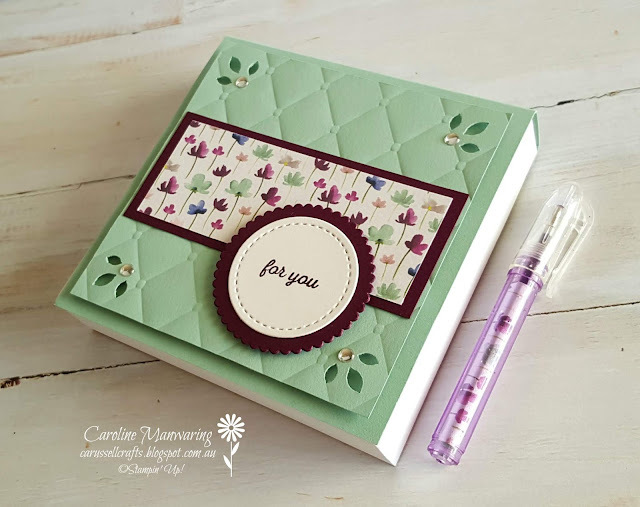 The Designer Series Paper pack is divine! 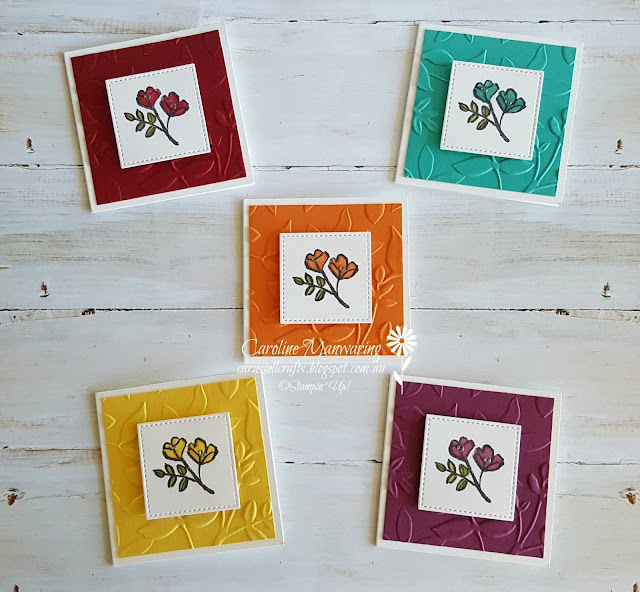 The designs are printed onto shimmery white paper and each pattern is so beautiful. I shared a similar bag to this one in a blog post here. I've made this one a lot smaller to hold the jotter pad and pen. 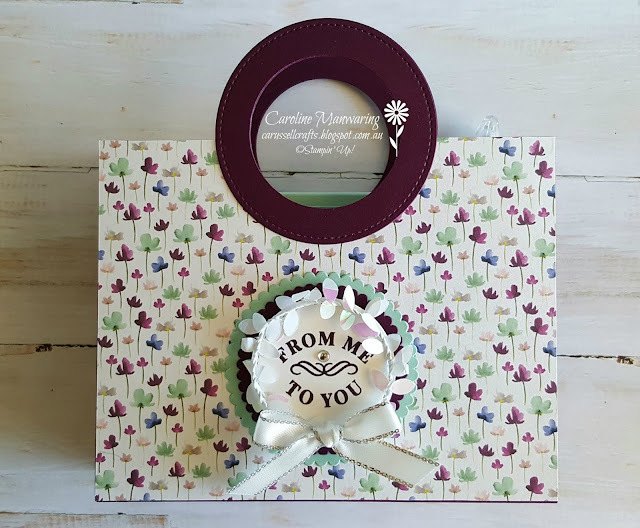 The base of the bag is made from Blackberry Bliss cardstock and I've complimented this with Mint Macaron, as you can see in the scalloped circle behind the stamped greeting. I attached the boxwood wreath with glue dots around the stitched circle greeting and covered where the two ends met with a bow made from the Whisper White metallic-edge ribbon. The greeting on the bag is from the Time For Tea stamp set, and the jotter pad greeting is from Itty Bitty Greetings. Both are stamped in Blackberry Bliss. The jotter and mini pens were just discount shop purchases. I even managed to push a little scrolled piece of the DSP down into the barrel of the pen. I covered the pad with Mint Macaron and another piece that I embossed with the Tufted 3D Dynamic TIEF. I love the look of the Blackberry Bliss with Mint Macaron. I had a few retired metallic enamel shapes left over and this is the bit of bling you can see in each of the corners on the jotter pad. There are some new Epoxy Droplets that are a part of this Frosted Floral Suite, and they look very similar to the retired ones above, so that's why I used them here. You can see from the photo above, how nicely the jotter pad and pen fit inside the bag. If you have any questions about the project just send me an email and I'll be happy to answer them for you. Thanks for joining us on our hop tonight. If you're already hopping then you may have come to me from the blog of our lovely and talented team member, Monika O'Neill, but hops are full circles so you can start anywhere and just click the 'next blog' button at the end of each blog post to get back to where you started. Following on from me now, is the equally lovely and talented Sharon Davern, and I can't wait to see what project she has created. This dsp is stunning and I love how it’s the star in your projects. Just beautiful Caroline I love your projects. The bag is so beautiful and I love what you have done with the jotter pad! I really must try more of these types of projects. Wow, Caroline, what a stunning project. I love Mint Macaroon and Blackberry Bliss together too. Oooh, I just love a brand new jotter, all fresh and ready to use, and yours is spectacular! Your jotter and coordinating bag are very cute. Thanks for taking part in the holiday catalogue blog hop. Such a pretty gift set in some of my favourite colours! Gorgeous projects Caroline. Can you believe I still haven't cut up this pretty DSP yet?! 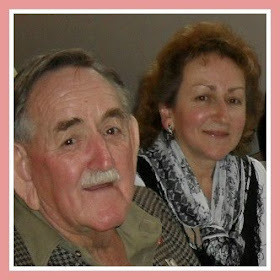 You have certainly inspired me to get it out these school holidays! What a beautiful gift, Caroline. That DSP makes it extra special. Really loving that particular DSP on your jotter cover with the Tufted embossing folder. What a great match. Such a pretty gift. 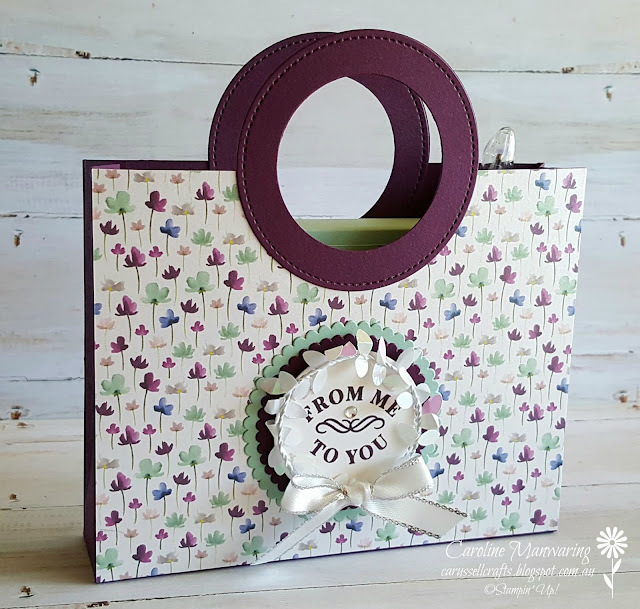 Such a cute bag Caroline, and the jotter makes the gift complete. Could you Please share your dirctions for your projects? I love that you made the bag smaller. I'm also looking for nice pads of paper and pens similar to yours! I'll be sharing with new freinds next mobnth! Thank you so much for sharing this beautiul paper and projects with us!